These days millions of Americans have jobs which can have damaging effects on the hands and arms. Repetitive movements which are not performed with good ergonomics in mind can cause micro-trauma to the hands and wrists. This trauma combined with joint dysfunction and spinal problems may result in a condition known as carpal tunnel syndrome. 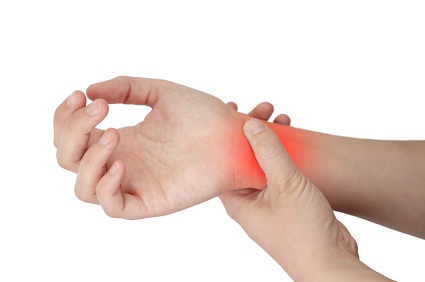 The median nerve, which is affected in carpal tunnel syndrome, travels from the tips of the fingers, through the wrist, up the arm and into the neck connecting to the spinal cord. If one or more of these structures are affected, symptoms of wrist pain, numbness, weakness, burning and loss of muscle function can occur. Chiropractic can assure that all of the joints and muscles along the path of the nerve are free of obstruction and functioning normally, thus reducing nerve irritation and pain.